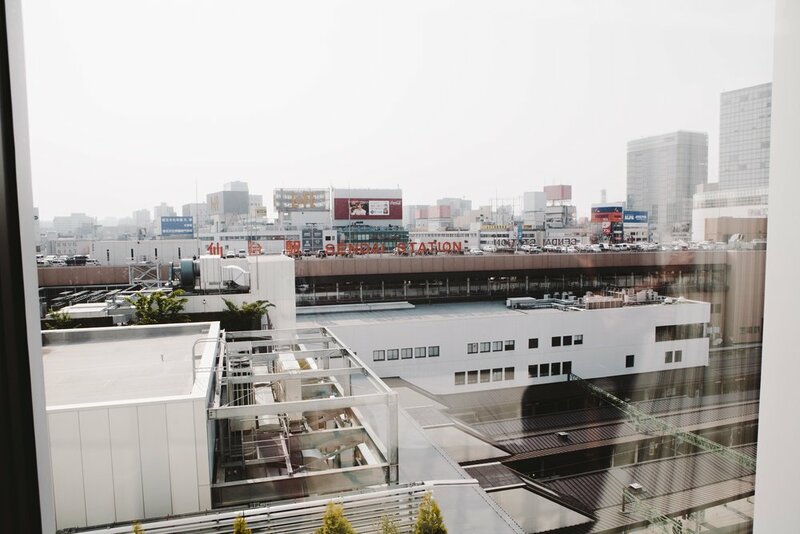 5 Reasons To Visit Sendai, Japan — Journal by jysla kay. Sendai might not be at the top of your list of places of visit in Japan but it’s worth a visit if you want to venture a little further out from Tokyo. Sendai is the largest city in Tohoku prefecture and is only around 1.5 hours away from Tokyo via shinkansen. Sendai is knows as “The City of Trees” and is a vibrant and modern city that isn’t crowded with tourists. Kevin and I really loved our stay in Sendai. After a packed few days exploring Hachinohe and Aomori, it was amazing to wind down and relax for a few days. We spent most of our time eating and shopping but Sendai is also a great base to visit other points of interest, so we also did a little exploring. In this post, I share my 5 reasons for visiting Sendai. This is, by no means, an exhaustive list as there is so much more to do in this city but this is just my personal top 5! Pretty much as soon as you exit Sendai station, you’ll be surrounded by shopping malls and restaurants. Downtown Sendai, to the west of Sendai station, is where you’ll find the main shopping malls and arcades. Hotels on this side tend to be more expensive too. Kevin and I weren’t afraid of a little walking so we stayed on the east side in this beautiful hotel that was really great value. It was worth the trade off in my opinion, as downtown Sendai isn’t that much further from the east side of the station and it’s a wonderful city to explore on foot (and we spent the money we saved on more food, hehe). We spent a lot of our time on the east side of the station and really enjoyed it. Sendai is home to the famous gyutan dish which consists of thinly sliced beef tongue that was cooked over a charcoal grill. The two most popular restaurant chains, Rikyu and Kisuke, both have branches on the 3rd floor of Sendai station on Gyutan Dori (gyutan street). We went to Rikyu — which took about 30 minutes for us to find because Sendai station is huge. It’s a busy restaurant but we didn’t have to wait too long in the line. The verdict? Gyutan was delicious, but I wouldn’t go out of my way to try it. Kevin agrees. A boat ride through Geibikei Gorge will show you a different side of Japan. You know something is still a hidden gem when it’s not catered to tourists — while you can get a pamphlet in english, the tour is done completely in Japanese (and I loved it). It’s not difficult to get to and is just over an hour from Sendai. Perfect as a day trip. You can read about my experience in my post here. You might have heard about the Wanko Soba challenge before (if not, watch this). Azumaya is a soba noodle shop in Morioka that is famous for its Wanko Soba challenge with 1 of its 2 branches right next to Morioka station. In my attempt to cram as much as possible into our days (bad idea), we headed to Morioka right after Geibikei Gorge but its easier to get there directly from Sendai by shinkansen (39 min one way). We didn’t have much time to eat the rest of the dishes served as we’d been waiting in line a while and already had reserved seats on a shinkansen (I was kicking myself for not booking a later time). There are 2 different options you can choose but you can pay more for more food and to have your bowls counted. I loved the taste of the soba and was happily slurping down bowl after bowl but after a while Kevin was gagging at the lack of flavour (the other dishes they serve are meant to be used to add flavour which he obviously wasn’t using). If you like your food, and you’re competitive, you’ll enjoy the Wanko Soba challenge. It’s around $40 AUD per person and you even get a wooden block at the end with the number of bowls you ate written on it. If you’re interested in a hike with a fantastic view, then Yamadera is worth the easy 1 hour day trip out of Sendai (the train ride is covered by the JR pass). Rissakuji is the official name for Yamadera temple — more correctly just Yamadera which translates to ‘mountain temple’. It takes over 1000 steps to reach the top but it’s not so bad when its scenic the entire way and you’re surrounded by beautiful tall trees. The temple is over a 1000 years old so the way up is a treat for history buffs as well. I wrote about my experience in detail in a previous post which you can read here.